We all asked, at least once how it was possible to built such impressive structures as pyramids 4,500 years ago. The ancient Egyptians’ buildings have puzzled the researchers for centuries. Among other issues, the perfectly alignment of the structures is also a mister. Although it’s slightly lopsided, due to an error made made its builders, overall the square sides of the 455 foot Great Pyramid of Giza – also known as the Great Pyramid of Khufu – are aligned almost perfectly along the cardinal points, north-south-east-west. Glen Dash, an archaeologist and engineer, claims he might find out the way these mega-structures were actually aligned. “The builders of the Great Pyramid of Khufu aligned the great monument to the cardinal points with an accuracy of better than four minutes of arc, or one-fifteenth of one degree. All three pyramids exhibit the same manner of error; they are rotated slightly counterclockwise from the cardinal points,” he said in The Journal of Ancient Egyptian Architecture. 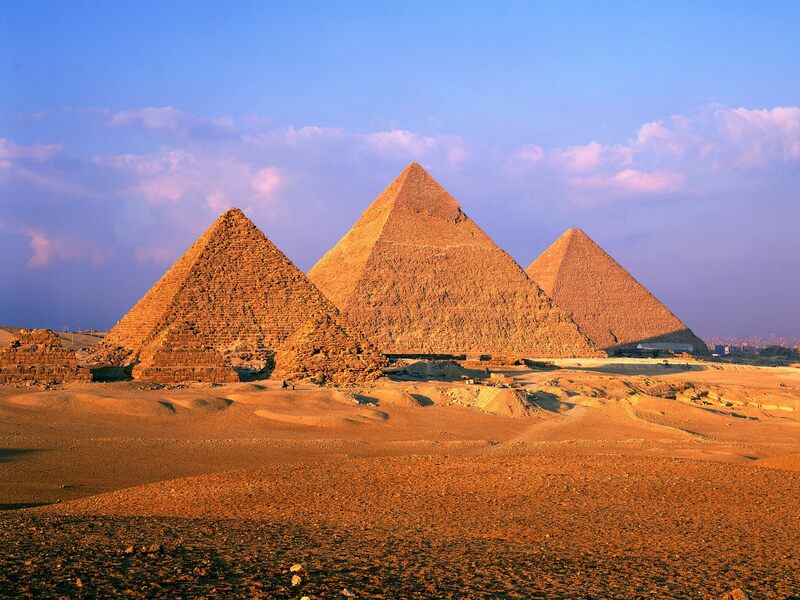 It’s well known that all three of the biggest Egyptian pyramids are perfectly aligned, in a way you wouldn’t expect to see from such an ancient era. So, Dash’s latest research revealed that the Egyptians have used a pretty simple method in order to achieve perfect alignment. The autumnal equinox. The equinox take place twice a year and it’s known as the moment when the plane of Earth’s equator passes through the centre of the Sun’s disc, and as a result, the length of day and night are equal. Trying to figure it out, Dash made an experiment, starting on the first day of the fall equinox in 2016 , 22 September 2016 by using a gnomon to cast a shadow. He tracked the point of the shadow at regular intervals, forming a smooth curve of points. And at the end of the day, with a taut piece of string wrapped around the pole, he intercepted two of the points of the curve and created an almost perfect line running east-west. This is known as the Indian circle method and you can see it bellow. The engineer also showed that the degree of error is slightly counterclockwise, pretty similar with the small error discovered in the alignment of the pyramids of Giza. “On the equinox, the surveyor will find that the tip of the shadow runs in a straight line and nearly perfectly east-west,” Dash added. Maybe we’ll never find out the secret of the great pyramids, but still Dash’s experiment might be a good start. He proved us that that something so simple as mapping shadows during the autumn equinox could have been sophisticated enough to align some of the world’s great structures. “The Egyptians, unfortunately, left us few clues. No engineering documents or architectural plans have been found that give technical explanations demonstrating how the ancient Egyptians aligned any of their temples or pyramids,” Glen Dash ended.